Welcome to “Urban Cowboy Experience™” — where world-class Urban Cowboy memorabilia and classic country bar design come together to create the ultimate Las Vegas country attraction, entertainment, bar and dancing experience. We’ve rescued the history of Urban Cowboy and Gilley’s, now it’s time to bring the experience back to life. Remember, country music is now the most listened to music on radio across America! It’s nothing short of a disgrace that the largest entertainment city in the world doesn’t have one venue dedicated to all of those loyal fans. We have the Hard Rock, the House of Blues, etc. It’s now time for Urban Cowboy Experience™! Click ABOUT above to learn more about this once-in-a-lifetime “perfect storm” business opportunity! 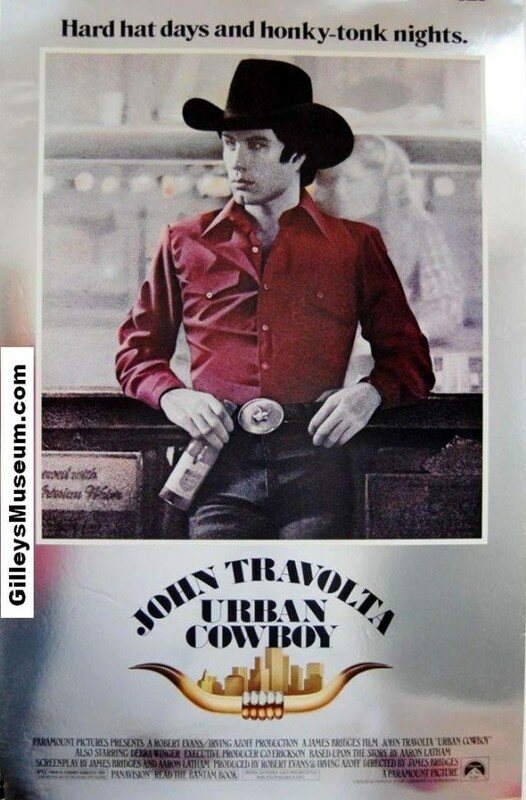 The 1980 motion picture “Urban Cowboy” from Paramount Pictures and starring John Travolta as “Bud” set the standard for what a real country bar looks, feels, and sounds like throughout the world.